Hello Lovelies! I love a good sale at kate spade! 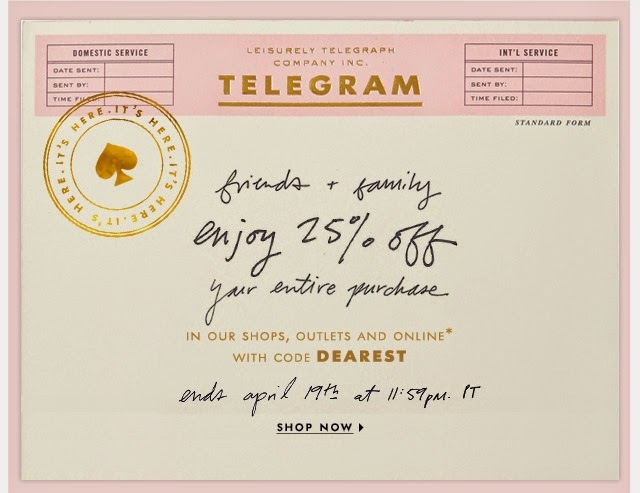 Especially their friends and family sale - everything is 25% off with code: DEAREST - The sale ends April 19th at 11:59 pm so don't wait!! Take a look at some of the items I've been eyeing!